Spectra Blue Mica 1st Gen Tundras! Thread: Spectra Blue Mica 1st Gen Tundras! 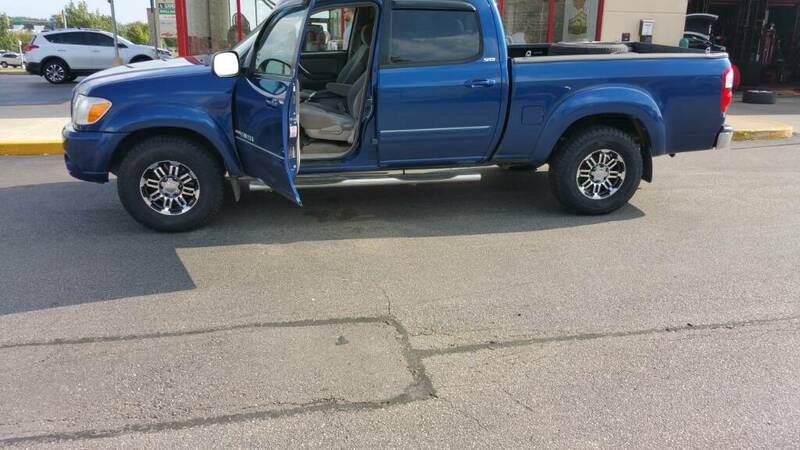 Post pics of your Spectra Blue Mica 1st Gen Tundras here! Ok, here's a shot of my 05 Tundra. I bought her in Texas, in March of 2005, on our Spring Break trip to visit friends. Our friend who took the picture, photoshopped in the trim, and the writing on the door. I miss having a blue Tundra! Re: Spectra Blue Mica 1st Gen Tundras! 4.7L, auto, leather, am/fm/cd/tape, A/C, power locks, windows, mirrors, factory security, leather, 2WD, 3.91 open, its pretty nice.